DERBY (WTIC) -- Bikers rallied together for a good cause, revving up help for a young girl with an incurable disease. 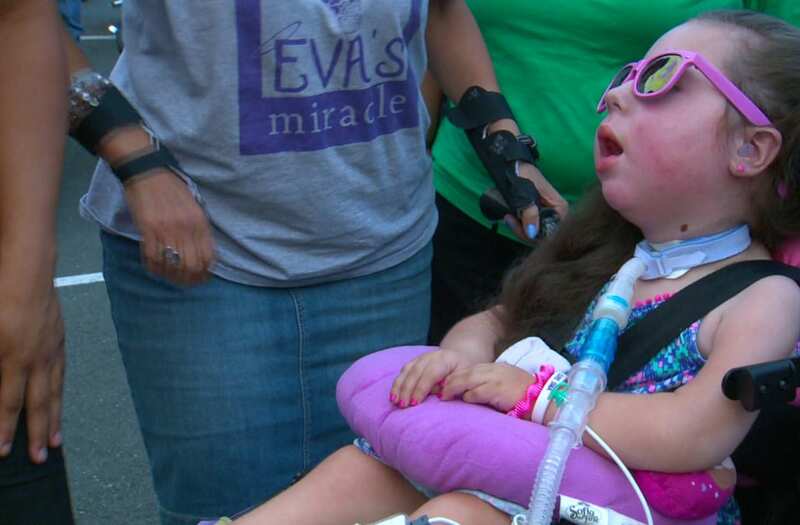 The fifth annual "Bike Night for Eva the Diva," took place Monday in the parking lot of Valley Diner Restaurant to help raise money for six-year-old Eva Grace. Eva, better known as "Eva the Diva," has Spinal Muscular Atrophy Type 1, the most severe and common form of SMA. A Connecticut community is rallying around a 6-year-old girl who is battling Spinal Muscular Atrophy Type 1, the most severe and common form of SMA. The disease affects most of her physical movements including her ability to breathe. Doctors said she will never be able to stand or walk. Eva's mother Melissa Kelly said she was told her daughter wouldn't live past the age of one or two, but she's defying the odds, now six years old. "I mean you talk about Diva, that's Eva," Kelly said. "She's the bravest strongest little girl I know." Kelly said it's events like Bike Night that help give her strength. "The love and the happiness she feels from everyone has kept her alive this long, I truly do," she said. "The community's been amazing, makes me stronger, makes her stronger, just to feel the love and the support we get from everybody year after year, it's overwhelming." The event features raffles, a motorcycle show and helps raise awareness for SMA. Past events helped the West Haven family get a special van to help transport the little girl and her equipment. The family is trying to raise money for a ceiling lift to help get Eva in and out of bed and the bath. If you'd like to help you can visit the donation page.